I am originally from Italy, where I graduated from the Università degli Studi di Milano before undertaking my MSc in Classics at the University of Edinburgh. 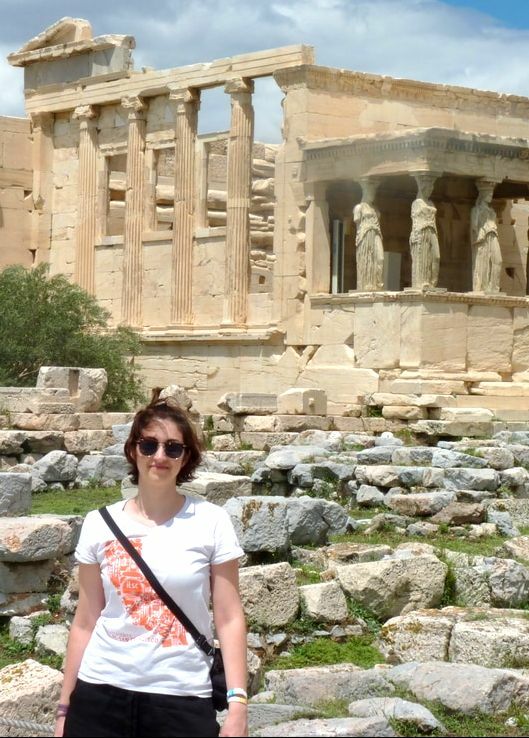 I am currently a first year PhD candidate at Edinburgh, and my research centres on ancient religion in connection to slavery, primarily in Greece and Italy. My other interests are Classical literature and art, comparative studies, and gender and social studies. ​I received my MA in Classics and MScR on Ovid's Metamorphoses from the University of Edinburgh. My PhD focusses on fama throughout the Ovidian corpus. I am also interested in genre, metapoetics and intertextuality in Latin poetry and ancient Roman book culture. I came to Edinburgh in 2010 and have never looked back, having completed my Undergraduate and MSc here. I am a first year PhD student working on a discussion of Colonies and civic status in Italy during the Middle Republic. In addition, I am also interested in the Praetorian Guard and the role of the Speculatores within it through the first and second centuries CE. I moved to Edinburgh for an MSc in Classics after completing my undergraduate degree in Modern Languages and Literatures (French and German), with a Minor in Classics, at the University of Lisbon. I focus on Archaic Greek Literature: Homer’s Iliad was the topic of my MSc dissertation, and now I work on Archilochus. My academic interests also include innovative theoretical and methodological approaches to archaic texts, and the aim of my PhD project is to apply Cognitive Poetics to a reading of Archilochus’ fragments. All of the Classics PG Representatives take a hand in organising the seminar series, sending out emails and chairing the sessions. If you have any questions, don't hesitate to contact them!